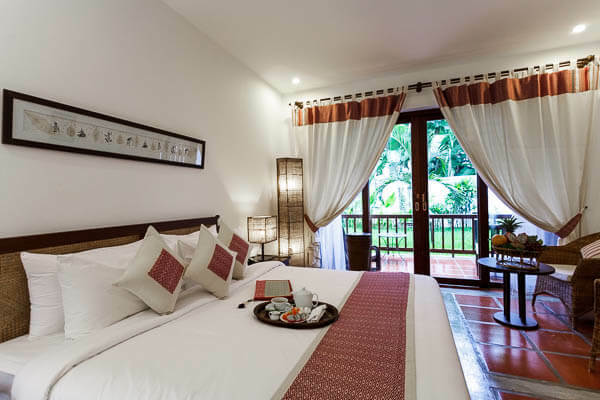 Riverside Boutique Resort provides two Riverside Suites, twenty-eight Deluxe Rooms with pool, river and/or mountain views, and four Classic Rooms with a garden view. They all have a large balcony and modern amenities, as well as free WiFi access. 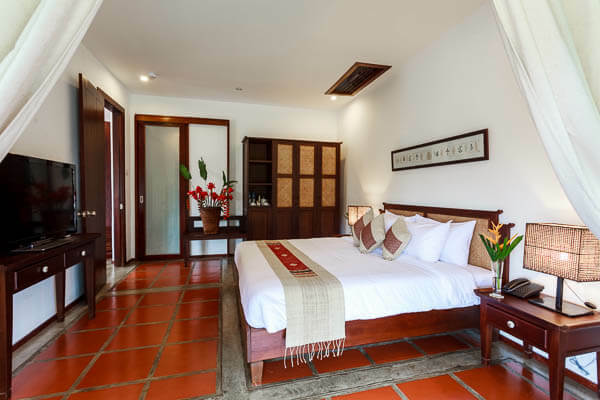 Occupancy policy: A maximum of two adults per suite or room is allowed with the existing bedding. If a third adult stays in a suite or room, the use of an extra bed is mandatory and it will be charged. One child 4 years or younger can stay free of charge when using the existing bedding or a baby cot. One child between 5 and 11 years old will be charged US$7 when using the existing bedding. A child 12 years or older is considered adult and must use an extra bed.